Now available - genuine Gerber® diaper pins in your choice of White, Yellow or Blue. Note: These are regular size diaper pins. These pins are almost gone. 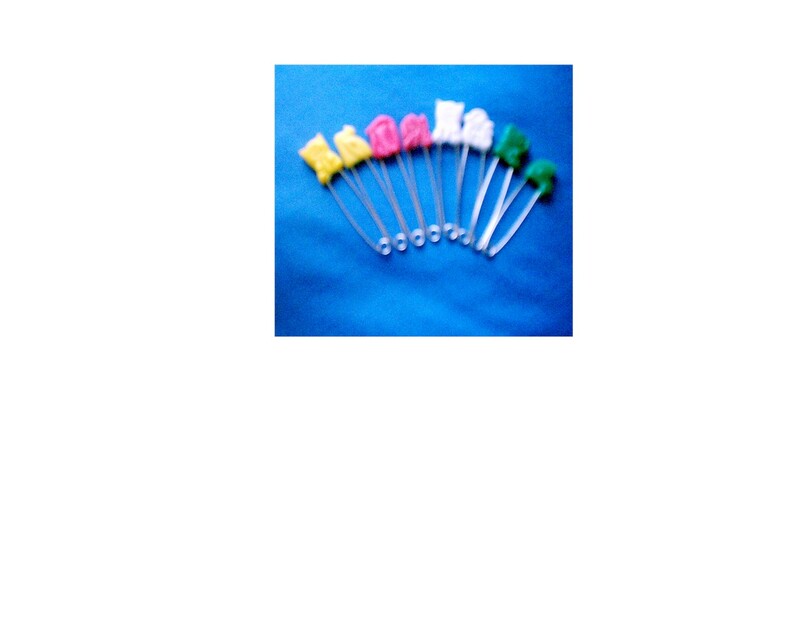 If you order a color not in stock we substitute a better or equal pin.